Sleeping Bear Press, 9781585362547, 40pp. From the mythological underwater city of Atlantis to the amount of water that covers Earth's surface, the oceanic world has challenged and intrigued man since recorded time. And it seems that as much as we do know already, there is so much more to learn. 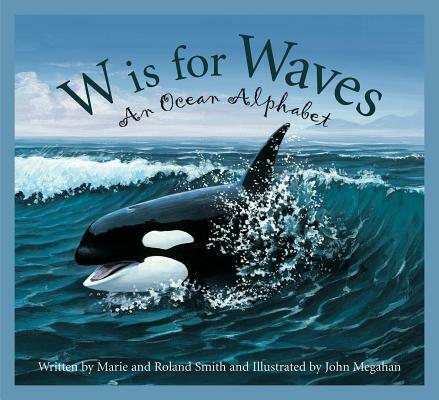 In W is for Waves: An Ocean Alphabet water enthusiasts and budding scientists are given an A to Z tour of the ocean's depths and the creatures that inhabit them. Did you know that jellyfish can range in size from one inch to 200 feet long? And what about the mysterious Scandinavian sea monster called the kraken? Was it a myth or did it really exist? Learn about thermohaline currents, dolphin intelligence, and the largest living structure in the world (Australia's Great Barrier Reef). In W is for Waves young readers can explore the mysteries of the deep without getting their feet wet.